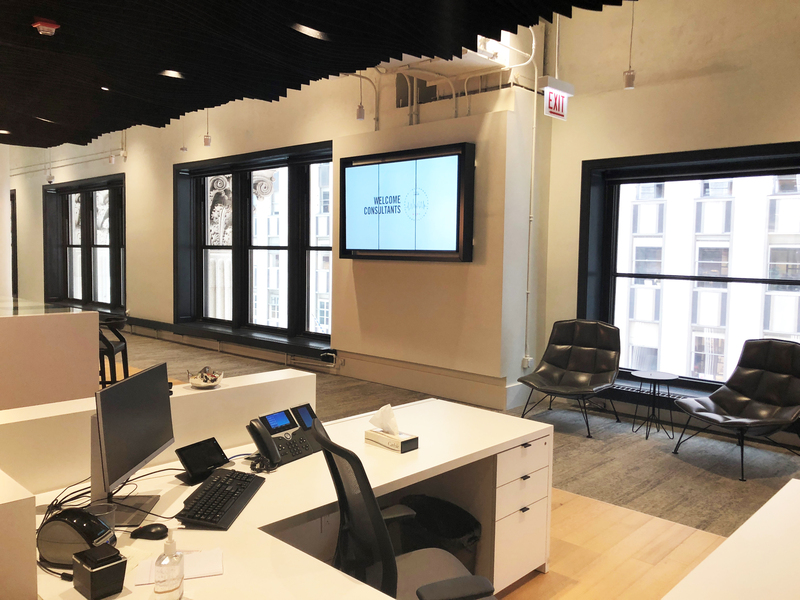 Shure Incorporated’s new 35,000-square-foot Chicago City Center office space features an exciting Customer Experience Center and room for 150 sales, marketing, customer service and market development employees. The new office occupies an entire floor of The National Building in Chicago’s Loop district. 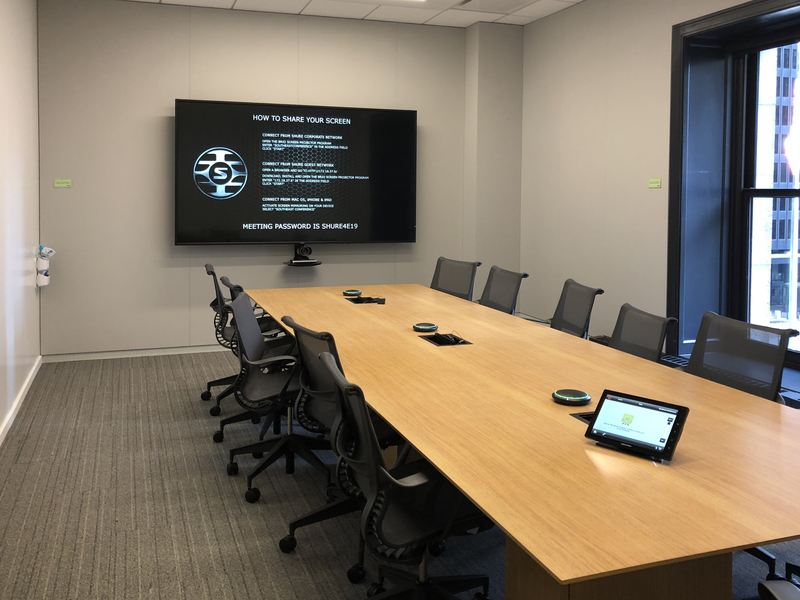 The 7,000-square-foot Customer Experience Center creates an ideal setting in which customers and integrators can explore Shure products and solutions. 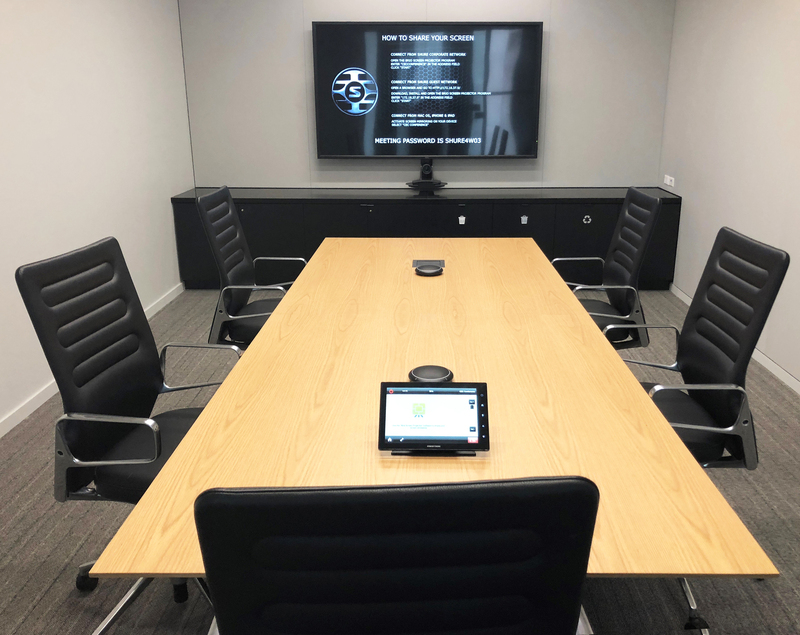 Waveguide provided audiovisual consulting and design for the experience center, multiple conference and huddle rooms, a training room and control room. The project also included reception and hub area displays.